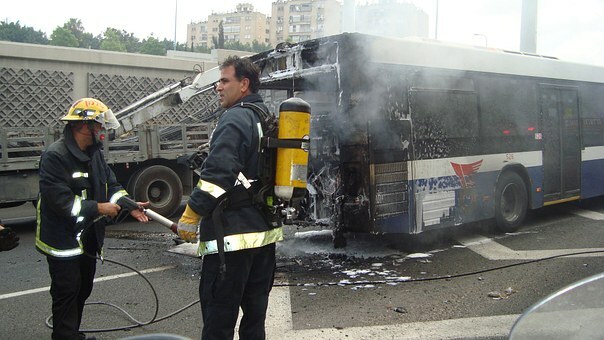 A bus accident can cause catastrophic injuries to victims. Buses are larger than the average vehicle on the road, and they have large blind spots and difficulty stopping. They also carry many passengers at a time, so a bus accident can cause injury to multiple victims. On May 30, State Police received information about a vehicle accident involving a bus. The accident occurred on Route 95 southbound at Exit 30. The report of the accident was given to police around 9:00 in the morning, and emergency personnel arrived on the scene soon afterwards. Upon arrival, they found that the bus was disabled in the right lane. Traffic became backed up to Exit 32 as first responders secured the scene. At least one individual sustained injuries, and medical care was given to this individual at the scene. The extent of their injuries is still being determined. A bus accident can be a devastating event. These accidents can leave multiple victims with injuries, and the impacts can be severe. Bus drivers must remain aware of their surroundings and look out for other vehicles, and other drivers must remain cautious when around large vehicles such as buses. Victims who are injured have the right to seek help for their injuries. As involved members of our community, we want our roads to be safe and to do our part to prevent accidents. We urge all drivers, regardless of what kind of vehicle they operated, to follow traffic laws and be vigilant. At the Law Offices of Jeffrey S. Glassman, we know that accidents can happen to even cautious drivers, so we are also dedicated to helping victims get the help they need to focus on their recovery.